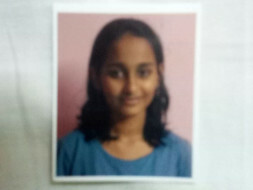 My Daughter HEMEY VARGHESE 13 years old has been diagnosed to have relapse B cell acute lymphoblastic leukemia. This is a type of blood cancer. She was undergone peripheral blood stem cell transplant with a matched unrelated donor(MUD). We need to pay the cost of MUD transplant in CMC Hospital is more then RS.35,00,000. Now I am unable to pay bill amount so I need others contribution to save my one and only daughter. Please contribute towards her treatment. 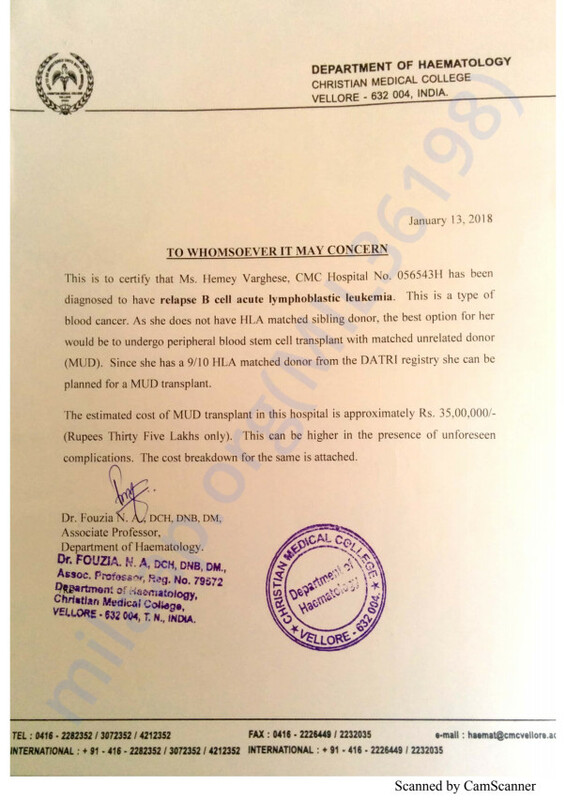 Hemey's Bone Marrow Transplantation was performed recently but she has not been discharged yet. She is getting fever frequently and unable to eat properly. Doctors have suggested that she will remain under observation for few days before they decide any future course of action. Thank you for your support up till now, we shall keep you all posted. Please keep praying for her speedy recovery.